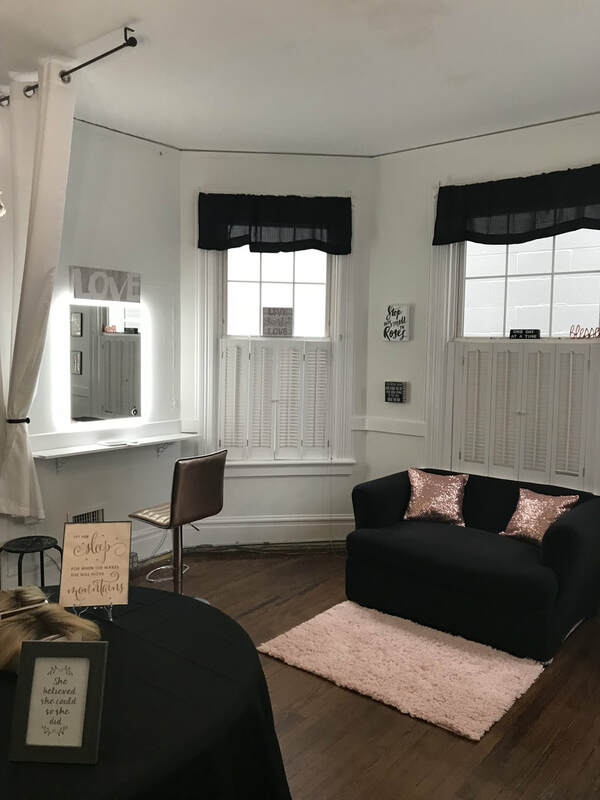 Danielle Elizabeth Wig Studio is located in the heart of Downtown Ridgefield, Connecticut. The owner knows firsthand on how traumatizing hair loss can be to any person experiencing it. As a cancer survivor of two different types of unrelated Lymphomas, Danielle went through extensive chemotherapy which resulted in temporary hair loss. If you are battling cancer or alopecia or are experiencing natural hair loss. Perhaps you are being treated with chemotherapy which unfortunately can result in medical hair loss? We can help promote and boost self-esteem by providing the best quality wigs and toppers and hair services to you. As you probably know by now, hair loss due to chemotherapy should be anticipated and we are here to help you put a plan into action to help you with this medical hair loss process. Losing hair is something we all fear but having a plan beforehand will certainly reduce your stress and anxiety and cause less of an impact to your self-esteem. The studio is a private oasis in the heart of one of the busiest towns in the county. Here you can truly relax and unwind knowing you are in caring capable hands with Danielle Elizabeth Wigs. We offer the finest, high quality human hair wigs and synthetic hair wigs, hair pieces, toppers and hair extensions available. 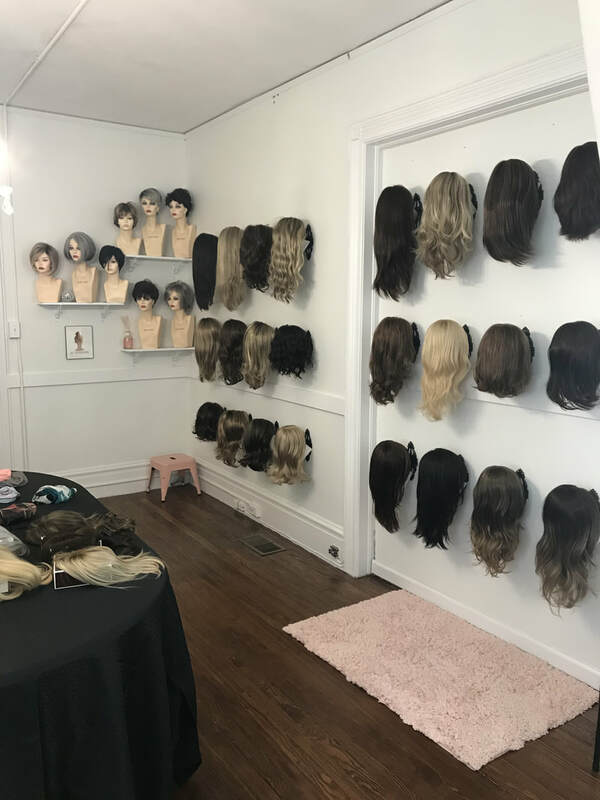 Here at our Ridgefield Wig Shop, we help women regain their confidence and self esteem by restoring the hair they want or getting back the hair they may have lost. Let’s chat and create a hair loss solution for you or your loved one. Maybe you’ve been unhappy with the service you’ve received at another wig shop? 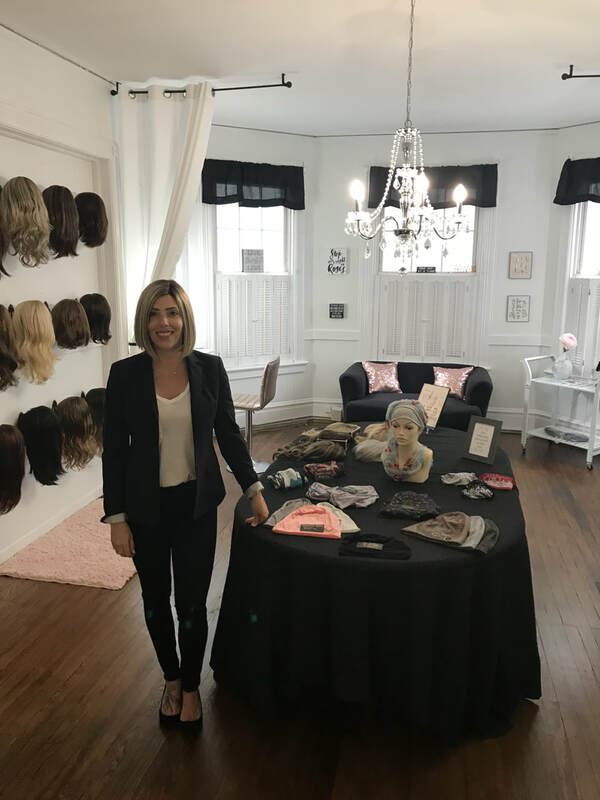 You deserve a smile and to get the assistance you need from a caring and kind Connecticut wig shop. It’s time to reach out for help from Danielle Elizabeth Wigs. Call or email for a one – on- one personal and confidential consultation to discuss the right options for you. Our goal is to help you achieve a look that will be most flattering and natural. ​Due to the nature of our product and personalized service: hair goods can not be exchanged or returned.